Apple has released MacBook Air EFI Firmware Update 2.1 for laptops released in 2011 (with Tunderbolt). The MacBook Air EFI Update will update the EFI firmware on your notebook computer. Your computer’s power cord must be connected and plugged into a working power source. When your MacBookAir restarts, a gray screen will appear with a status bar to indicate the progress of the update. It will take several minutes for the update to complete. Do not disturb or shut off the power on your MacBookAir during this update. 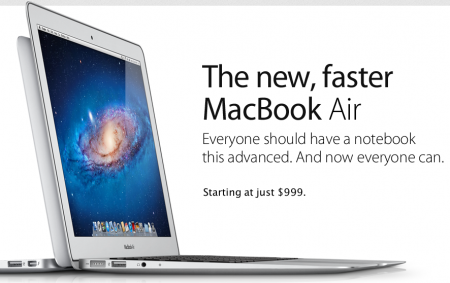 Direct download link: MacBook Air EFI Firmware Update 2.1.